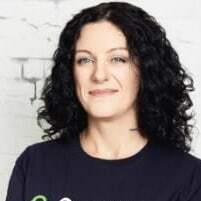 I've been in the tech industry for 20 years, starting out as a software engineer and then moving into Product and Strategy before taking on the role of CTO at Gumtree. This year I've been fortunate enough to be named in the CIO50 for 2017. I've always been fascinated with tech, starting to code at the age of 9 with my brothers. I'm now teaching my own kids to code and I'm very passionate about making coding accessible for everyone.